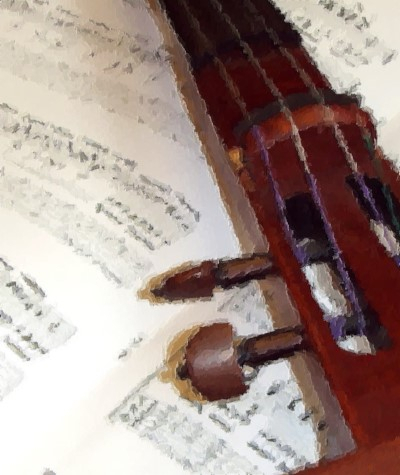 Both vsound and dcello feature graphic and arbitrary equalizers that allow you to modify the tonal colour of your violin sound, adjusting for factors such as pickup type, violin body, room acoustics and musical style. 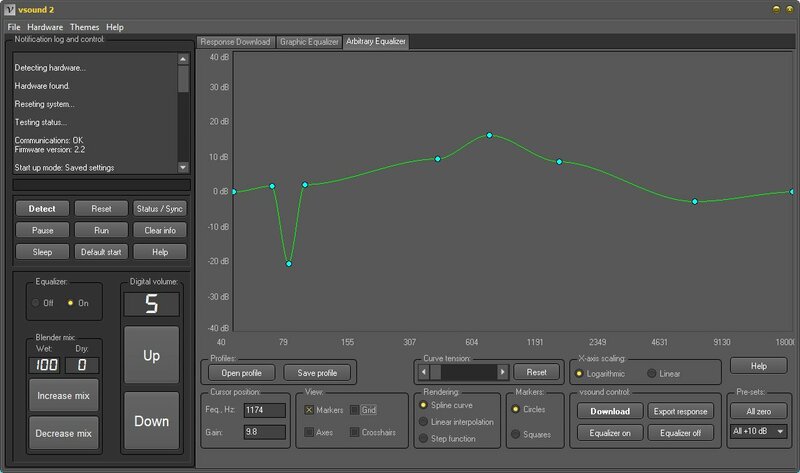 The equalizers are very simple to use – connect the unit to the computer and, using the software equalizer option, alter the frequency balance using either the sliders (graphic) or curve control tool (arbitrary). In general, the graphic equalizer allows quick and easy alterations to tone. In contrast, the arbitrary equalizer takes a little bit of getting used to – but it is well worth it, because it allows almost limitless control over the frequency response. 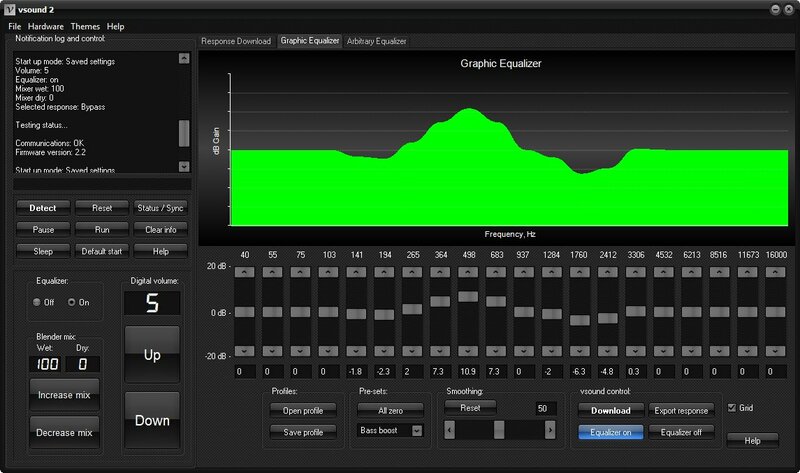 Graphic equalizer: This control features a 20-band slider unit, ranging in frequency from 40 Hz to 16 kHz. Each band can be has a dynamic range of +/-20 dB, and a minimum step of 0.1 dB. Once the equalizer has been configured, it is downloaded into the device with a single click and immediately changes the tone of the unit. This equalizer also comes with a number of pre-set profiles, and a smoothing option, which lets you control the selectivity, or “Q” of each band. Any equalizer profile that you design can be saved to disc and recalled as required. Arbitrary equalizer: This highly versatile and unique equalizer is one of vsound’s and dcello’s most powerful features since it provides almost limitless control over the frequency response characteristics of the output. With a frequency range of 40 Hz to 18 kHz and an amplitude dynamic range of ±40 dB, the user can draw virtually any conceivable response simply by adding control markers to the response curve and dragging them using the mouse. A curve tensioning tool allows you to adjust the selectivity of any peak or notch you specify. Once the equalizer has been configured, it is downloaded into the device with a single click is immediately active. The arbitrary equalizer requires a little practice since it is very different to a conventional graphic equalizer. However, it is well worth the effort since it produces truly impressive results. There is no limit to the number of markers you can add, nor are there any restrictions to the positions of the markers. Like the graphic equalizer, any profile you design can be saved to disc and recalled later as required. Case study. These two examples demonstrate typical output of from the equalizer of vsound, all using a raw electric signal as the input. The first output is the sound coloured by a Tononi violin impulse response, without equalization. The second features the same response with bass boost.